We can bring all the necessary equipment to provide self-defense training at your company location at a time of your convenience. 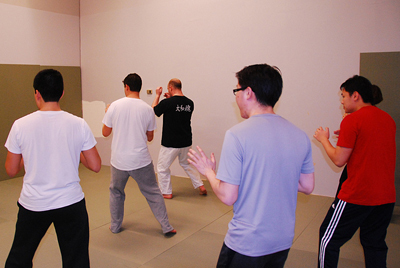 Alternatively, we can hold the class at our dojo in Richmond. 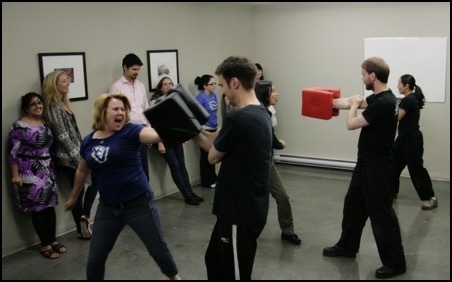 Whether you want to hold a Vancouver corporate self-defense class specifically for women keeping with their unique needs in mind, or a class for both men and women in which they can learn basic self-defense skills together in one group, we can tailor a lesson plan that suits your company's needs. While we teach prevention strategies as being the first line of defense, we also teach practical physical defenses that use gross motor skills, making them easy to learn and use while under the high stress conditions of an assault. Fundamentals of the "Simple Hold Escape System"
How items in your personal surroundings can be used as "weapons of opportunity"
You'll also receive a hand-outs with street safety information. The class is led by our dojo instructors Lori O'Connell Sensei, 4th degree black belt and Chris Olson Sensei, 1st degree black belt. Participants should have comfortable clothes to move in and a pair of clean running shoes. Water bottles are also recommended. Each participant must sign our company's liability waiver before class. Please contact us for a consultation and quote. We are happy to put together a course that is more specific to your unique company's needs. This Vancouver Lunch and Learn class is informational in orientation, requiring no special equipment or space beyond a pen and some paper should your participants wish to take notes. It can be tailored to your office's audience as necessary, for an all-male, all-female, or a mixed group. Your instructor will come to your workplace so your staff can "Lunch & Learn" conveniently. This is a great option if you don't have the space or the time for a corporate self-defense class, but still want the opportunity for your staff to learn information that will contribute to their personal safety in their day-to-day lives. Our Vancouver Lunch & Learn classes need not be held during lunch if you prefer. It can be a "lunchless" class so to speak. Class sizes are only really limited to your own space constraints, but they tend to be more personal when limited to smaller groups, no larger than 20. Please contact us to set up an appointment for a Lunch and Learn class at your place of business. 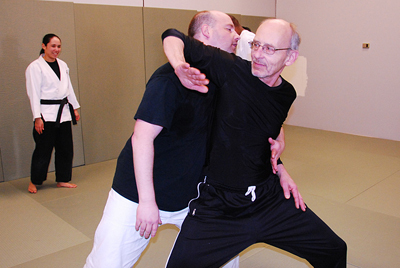 For companies or teams that would like a more traditional martial arts experience for team-building, we also offer our 'Intro to Can-ryu Jiu-jitsu' seminar. In this 2-hour seminar, we teach your staff a variety of martial arts skills, including striking techniques, takedowns & breakfalls, hold escapes, joint locks, social situation defences as well as a Jiu-jitsu demo at the end. This is a great team-building experience that has everyone learning skills at the same level, increasing trust and familiarity as participants work directly with each other to a learn and apply the skills taught. 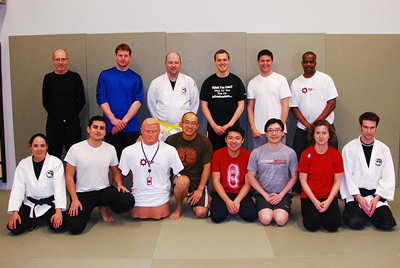 This class is only available at our dojo and is limited to 12 participants.